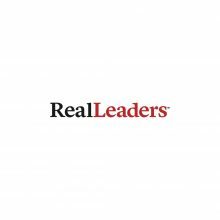 Real Leaders is the world’s first sustainable business & leadership magazine. It aims to inspire better leaders for a better world; a world of far-sighted, sustainable leadership that helps find solutions to the problems that 7.5 billion people have created on a small planet. It wants to ensure that the next generation of leaders, in all spheres of influence, are exposed to the best and brightest minds in the hope that they are inspired to find profitable business solutions that benefit humankind. Real Leaders advises and positions leaders to thrive in the new economy. Concordia is collaborating with Real Leaders to bring new audiences to both organizations, and to ultimately elevate the dialogue surrounding the role of cross-sector collaboration in combating critical global challenges.